Perched atop the Arroyo Grande Mesa within the private gated community of Black Lake Estates sits 1790 Calle Laguna, an authentic Spanish style, custom built 5 bedroom, 4 bathroom home on just under 3 acres. 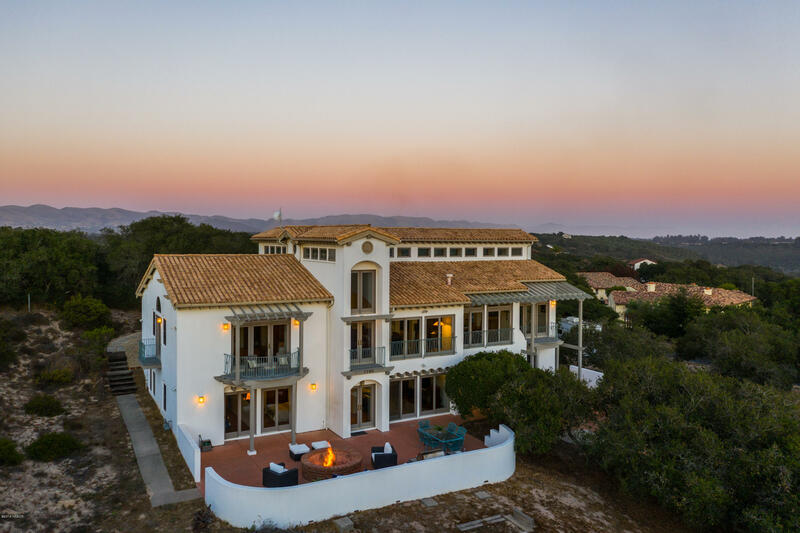 From almost every room of its 4,598 square feet one can enjoy breathtaking panoramic views of oak studded rolling hills, the Pismo dunes and the Pacific Ocean. On the property's main floor one can enjoy a spacious living room, dining room, kitchen, powder bath, master en suite and multiple balconies to enjoy the exquisite views. The lower level of the home includes a media room complete with surround sound, a wet bar with mini fridge and wine fridge, four bedrooms, two bathrooms, a sauna, and a bonus room that is currently being used as a gym. Directions to Property: From 101 head west on El Camino Rd, left on Los Berros, right on Stanton, left on Calle Laguna.